At HireMaster Dannevirke we have a large range of equipment for hire that caters for Birthdays, Weddings, Re-unions, Anniversary Events and Building Projects. Party Hire We have marquees, cutlery, crockery and glassware, tables, chairs, sound, lighting and special effects heating and refrigeration equipment. 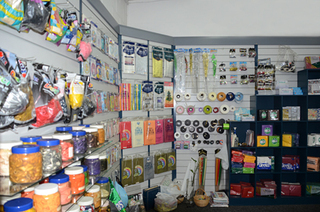 HireMaster Dannevirke has a vast range of party products - Helium & Foil Balloons - Disposable Plates - Serviettes - Crepe Streamers - Confetti - Badges - Candles - Straws - Ribbon - sprinkles - Crepe Streamers - Bubbles - Disposable Glasses - Pinata just to name a few. Have a special occasion coming up, then please do not hesitate to contact us to discuss your event details. Machinery Hire For do it yourself handymen and the trade professionals, we have a wide range of equipment to suit your different needs at competitive rates. We have power tools, excavation machinery, concrete equipment and even through to gardening gear. Apart from that, we also offer a range of pumps compaction, rollers, water blasters, to portaloo hire and trailer hire.